Disasters on the other hand are the kind of risks that subject mankind and his natural world to all kinds of tragic events that can end up taking everything. Do hazards and disasters share any common ground? They can both be a threat in a natural and a man-made context, but it would appear that a hazard is a precursor to a disaster. The one catastrophe can lead to the other. It would be true to say perhaps that a hazard is a disaster looking for somewhere to happen. How do we define a hazard? Hazards can be geophysical, like possible earthquakes, volcanic eruptions, cyclones, storms floods and droughts. All having the power to cause disasters. 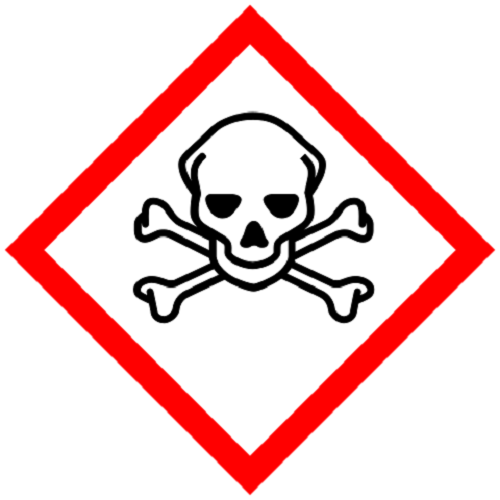 Hazards can be biological, like disease and infestation. Plagues that have the potential to cause mass devastation and disaster. Hazards are determined by their severity in different situations. The have the potential to threaten life, health, property and the environment. Hazards can strike unpopulated areas and are not considered disasters if they are not a threat to humanity. Duration: the longer the hazard is experienced the greater the danger. For example an earthquake lasting for a minute is more severe than one that lasts 2 seconds. Magnitude: the strength of the hazard which is measured on the Richter scale or the VEI, Volcanic Explosivity Index. Predictability: some hazards give warning signs prior to their arrival. Volcanoes can show signs of smoke prior to eruptions and tropical storms can be predicted with weather stations and forecasts. Regularity: Some hazards are regular occurrences and this makes people aware of their arrival and prepared to face the risk of damages. Frequency: some hazards subject people to more danger because they occur often making living conditions very difficult. Speed of onset: a hazard that arrives with very little warning becomes a disaster as no one is prepared for the devastation. Areal extent: a widespread hazard will easily turn into a disaster if the area is not contained and assistance offered. It is possible to prevent a hazard from becoming a disaster by living harmoniously with the environment. An awareness of potential dangers and taking precautionary steps is often all that is needed to prevent a hazard becoming a disaster. However, as soon as a hazard leads to widespread disruption the outcome will be a disaster. It was Shakespeare who took the risk of a hazardous life to a different level. “I have set my life upon a caste, and I will stand the hazard of the die.” The origin of the word hazard is actually from a game of chance called ‘Hasard’, a game of throwing die to see who wins the toss. Shakespeare knew the meaning of risking life on a gamble – a game of chance. How can we define a disaster? 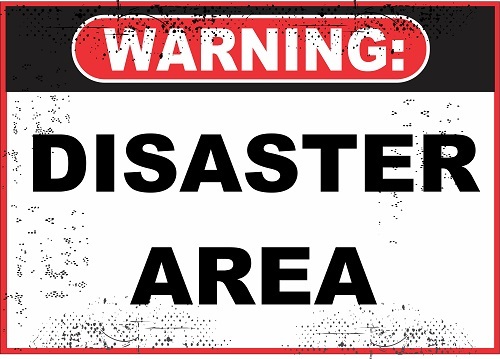 A disaster is a bit like a stage or degree of a hazard that has become more threatening. The real disaster is evident when a hazard is part of a vulnerable situation. When hazard and vulnerability meet the outcome is usually a disaster. What makes communities and the environment vulnerable? When these vulnerable aspects of society meet storms, floods, volcanic eruptions, war, earthquakes and economic crisis the combination leads to disaster areas. The English idiom ‘a recipe for disaster ‘sums up this concept very simply. Disasters have far reaching effects. Synonyms for disaster link the word to catastrophe, calamity, affliction, collision. Antonyms on the other hand refer to happiness, good luck, prosperity. A disaster causes all kinds of stress ranging from personal injury, loss of possessions, physical damage, and economical damage, disruptions to daily living and threats to health. W.H.O. The World Health Organisation always gets involved in rescue and aid scenarios. W.H.O. says that it is the people that matter the most and without the people there is no disaster. That is probably a debateable point when you consider all the players and members of our environment. The devastation caused by a national disaster affects animals, plants and can devastate an entire ecological environment including the people involved. The world’s most deadly disasters range from earthquakes to plagues famines and floods. Drought conditions in Africa and India have resulted in huge loses of population and livestock. Flu pandemics took the lives of over a hundred million people in 1918 and 1919. Torrential rains and floods on the Yangtse River in China in 1931 claimed the lives of 51 million people. These shocking facts put the enormity of real disasters into perspective. The word disaster has often been used as an expression of frustration in daily living. For example a cake or culinary dish that does not turn out correctly can be referred to as a disaster. A meeting or event that is spoilt in some way can be referred to as a disaster. Looking at the real disasters of a geophysical and biological nature, where millions of people lose their lives, it is easy to see that using the term in day to day events is definitely an exaggeration. Hazards can also be part of day to day situations as there are apparent hazards all around urban areas. Homes, schools and recreational places are vulnerable to hazards. Children need to be taught to watch out for hazards. Electrical points, road safety and safe practices around sports areas all need warning signs of potential hazards. Vehicles are provided with hazard lights and potential hazardous areas require barrier tape and warning signs. Hazards can also be natural phenomena like snow and sleet or sudden rain storms with lightning and swollen rivers. These kinds of small hazards are not likely to become national disasters although to the people involved at that time it may feel as if disaster has struck. It is in these situations that synonyms like calamity and catastrophe are appropriate in their description of disaster that is upsetting but not of world-wide proportions. How then do we view hazards and disasters when a hazard can lead to a disaster and a disaster is definitely a hazard because it affects people’s homes and lifestyles with huge consequences. Hazards come with warnings but by ignoring these warnings disastrous effects can be the consequence. Disasters are full of hazards as the disaster area becomes an emergency situation and noteworthy of international awareness. Organisations like W.H.O are called upon to intervene and offer aid to the victims of the disaster. It would seem that a hazard, although related to chance and accident is the precursor to disaster and in acknowledging the hazard society could avoid the disaster or at least have it marginally under control. It is probably in the course of nature that man finds himself in the grips of both hazards and disasters. “It is in the midst of disaster that bold men grow bolder.” Henry IV. This is the time when men can shine in the face of disaster and the disasters are capable of bringing out the best in mankind during the worst of times and most hazardous of events. It could be fair tosay that a disaster can define some positive characteristics as mankind reacts and comes to help. Hazards on the other hand make people aware of a possible disaster and a reluctance to become involved. How ironic that the worst of times can bring out the best in people. A threat that can be managed by observing warning signs and keeping in harmony with the environment. An international danger and threat to humanity that needs intervention to bring the situation under control. Hazard can be used as a verb and a noun. Disaster is used as a noun. Hazardous is the adjective derived from hazard Disastrous is the adjective derived from disaster. Hazards are known to have specific warnings usually man-made to prevent disastrous events. Disasters are the outcomes of hazards when warning signs were ignored. Hazards can lead to disasters. A disaster is the result of a hazard but at the same time is also a hazardous event. Hazards are not used to describe everyday mishaps. They are specific occurrences and danger areas with appropriate warning signs. Disasters, although in literal terms are more severe than hazards are used to describe events that are not literally of a disastrous nature but rather an idiomatic use of the word. Christina Wither. "Difference between Hazard and Disaster." DifferenceBetween.net. October 9, 2017 < http://www.differencebetween.net/miscellaneous/difference-between-hazard-and-disaster/ >.